After creating her insect avatar, a child playing the online game Bin Weevils can chat or message other players, visit their nests or simply explore the rich digital landscape of the 3D world. Among the possible destinations is "Lego City," a branded island where kids can play games, pilot hovercrafts or drive bulldozers. Afterwards, she can take a balloon ride to "Heartlake City," where she can watch the latest videos from "Lego Friends," the more lifelike, female-skewing line of characters the brand introduced in 2012. The partnership between Lego and Bin Weevils is a prime example of digital-age brand integration aimed at kids — not just for the sophisticated technology behind it, but for the largely unknown company that made it possible. In 2014, 55 Pixels, the London-based gaming studio that created Bin Weevils, partnered with SuperAwesome, a rapidly growing UK-based tech company that specializes in kids-safe digital marketing, in an exclusive revenue-sharing advertising deal. As part of the deal, Bin Weevils was added to the portfolio of kid-friendly content providers featured on the company’s AwesomeAds ad network, giving it access to a whole new class of premium advertisers like Lego. Because of the safeguards and standards that SuperAwesome built into its network, 55 Pixels was relieved of the ever-complicated challenge of making sure the advertising on its site is safe and relevant for a child audience, thereby making it a more attractive commercial partner overall. "All the advertising is hand picked and pre-vetted, so we know it is complying to all the rules and regulations," says James Stanners, marketing director at 55 Pixels. "It takes that burden, if you can call it that, off our shoulders." The influx of advertising has not only provided additional content for Bin Weevils, but a steady revenue stream that helps keep the game 95% free. "It allowed us to purely focus on creating engaging content for the site and for SuperAwesome to monetize that content," he says. It is just that kind of revenue support that Dylan Collins, CEO of SuperAwesome, believes has the power to unleash the full potential of digital kids media. "The next Peppa Pig or Thomas the Tank Engine isn’t going to come from TV, it's going to come from digital," says Collins, an entrepreneur who comes to the kids market from the world of gaming. "There has to be a way for these guys to be economically sustainable. Our role in this whole market is to make sure it’s done effectively and safely while essentially balancing everyone’s needs." Marketing to children has always been controversial, but the advent of digital content has exacerbated fears exponentially. The Internet, after all, wasn’t built for kids, and the standard methods of advertising to adults online, which rely heavily on data collection, are prohibited in the children’s space. Since 2013, SuperAwesome has been building a growing global business offering a whole suite of services for marketers, agencies and content creators that promises to create a kid-safe advertising environment. Those tools include software that makes it easy for publishers to comply with governmental regulations, a growing advertising network of kid-safe web sites and apps, a kids-safe certification program for agencies and brands and an insights practice. The company, which claims to reach an audience of more than 200 million kids worldwide, vets the advertising that runs on its network and offers the option to create campaign assets as needed. No one officialy tracks the size of the digital ad market for kids. But Collins, using available data from the main players in the space, estimates the combined US and the UK market at about $500 million a year. And it’s growing fast, he says, with the potential to reach $3 billion by 2018. SuperAwesome was launched with the expectation of being dead center in the middle of that growth. While investment dollars directed at kids had traditionally gone into building content like games and videos, says Dylan, "no one was looking at the platforms, at the infrastructure for this market." At the same time, regulators like the Federal Trade Commission are increasingly imposing strict mandates for online kids advertisers with Children's Online Privacy Protection Act (the EU is soon to follow). "We saw a perfect storm happening here—where there is going to be platform rebalance and a new requirement of how you do business," he says. SuperAwesome has been building that infrastructure through its own software development and acquisitions. The company started when Dylan, founder of Box of Awesome, a Birchbox-like subscription service for kids, acquired kids online trading community SwapIt, which also operated a mobile ad network and research arm. The company has been gobbling up talent in the space ever since. Last year, for example, it acquired mobile ad platform Ad4Kids in Spain and made an entry into the U.S market, which Dylan says he plans to invest in heavily, with the acquisition of MobiGirl Media, a mobile ad network for girls. Two months ago, SuperAwesome acquired PopJam, adding the popular UK social media kids platform to its arsenal of kids digital properties. In addition to its London headquarters, SuperAwesome has offices in New York, Los Angeles, Singapore, Sydney, Bangkok, Jakarta, and Ho Chi Min City. In July, the company secured $7 million in Series A funding and is using much of that money to invest in its global expansion, eyeing markets like India and China and looking to future strategic partnerships and acquisition opportunities to further its growth. "There is much fragmentation in the kids space," Dylan says. "When you look at what Turner, Viacom and Disney have done over the last couple of decades … No one has done that in the digital space. We are not a content company, but we are consolidating everything around that space." SuperAwesome currently has about 60 employees around the world, a mix that includes engineers, sales managers and campaign and production talent. It works with approximately 120 content publishers, including ZeptoLab (Cut the Rope); Outfit7 (Talking Tom); Roblox; Poptropica; and MovieStarPlanet, among others. And more than 150 brands, including Hasbro, Mattel, Nintendo, Disney and Lego, have enlisted their services to help them deliver kids safe advertising. The company has about 200 active campaigns running around the world, estimates Dylan, and all the content features a graphic of a SuperAwesome padlock to assure publishers and viewers that it has been verified kid appropriate and doesn’t collect personal data. Nearly 90 percent of the creative for the campaigns are now being designed in-house, according to Helen Cable, SuperAwesome’s head of production. "It’s been slowly increasing as people are realizing it’s safer to trust it to the people who do this all day every day," she says. Earlier this year, Paramount Pictures tapped the company to promote "The SpongeBob Movie: Sponge Out of Water" in nine markets, running ads on popular apps like Cut the Rope. Activision recently advertised its Skylanders Superchargers game in the UK with a series of tailored ads, including interactive pre-roll and homepage takeovers, on Roblox, Bin Weevils and Cut the Rope. And Warner Brothers is currently running a campaign for the movie Pan in six markets that includes interactive pre-roll, floor ads and mobile interstitials, as well as a rare mobile takeover brand integration on Cut the Rope. 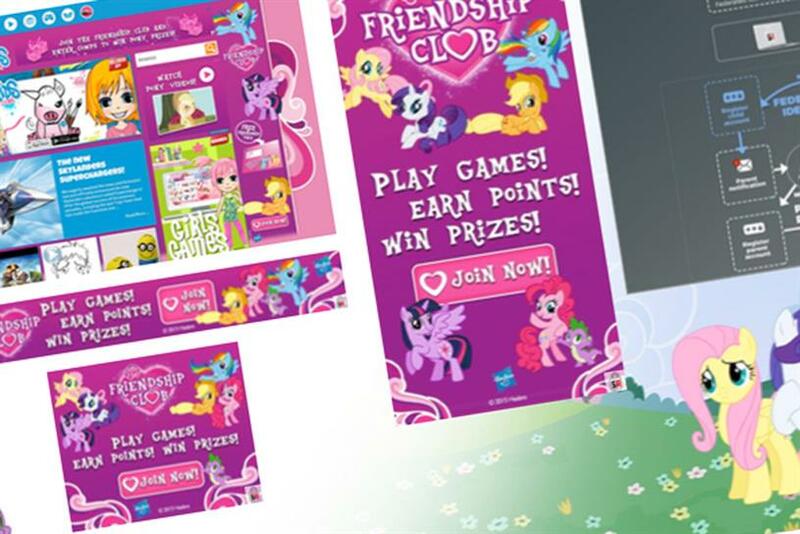 Hasbro recently used SuperAwesome’s Kids Web Services platform, introduced in June this year, to launch "My Little Pony Friendship Club." SuperAwesome used its cloud-based technology kit to create a site that features a parent portal, a unique child verification system and a loyalty club. The hub is also supported through content partners on the company’s ad platform with advertising such as display banners and homepage takeovers and integrated brand content from the world of Bin Weevils. The Hasbro project, says Collins, represents a new stage in the company’s evolution. 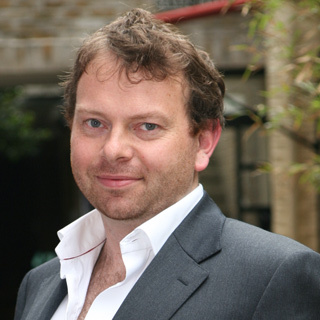 "Whereas people would have previously described us as being an ad or marketing platform company," he says, "we are more and more becoming the digital infrastructure for the under-13 space, to make sure it all works really well." So far, observers of the kids' digital space see the potential. "SuperAwesome has come in with their cape and crown and created what looks like one of the first turnkey one-stop solutions to the challenges of reaching children with marketing messages," says Cheryl Gotthelf, a media consultant who specializes in entertainment and education content for kids and families. "They are servicing a very big need. Right now, everybody is so hungry for solutions, and they’ve done such a nice job of packaging it, that the biggest guys are willing to take a leap and try it." While the COPPA rules aren’t really all that complicated, she adds, it’s much easier "if someone is going to take your hand and walk you through it." In May, the company even debuted its own "KidAware" certification program, a series of tools and briefings to help educate brands and agencies on the finer points of digital kids advertising. (More than 20 companies have signed on so far). "While we were already familiar with the regulations from CARU and COPPA, we took the program because we wanted to make sure that we were up to date and aware of the latest regulations, updates and thinking," says Jim Cridlin, managing director of digital strategy at Mindshare North America. While SuperAwesome is operating in a complicated space, it is fulfilling an important industry need, says Paul Nunn, former managing director at Outfit7. "They are really enthusiastic about the kids space, and they are trying to make it their own, and that’s valuable to a lot of other businesses. No one else has taken ownership." For his part, SuperAwesome’s Dylan explains his motivation is simple. "I like fixing things that are broken," he says. "I’ve always been drawn to sectors and industries that everyone else has backed away from."